We decided to brush up on our physics here at Lextin Academy. Never mind that my kids are 6 and under; it sounded like a fun plan. We received the Christian Kids Explore Physics from Bright Ideas Press as an e-book file. This is a Christian science curriculum for kids in 4th-8th grade and contains supplemental reading lists, coloring pages, review pages, and hands on activities to correspond to each lesson. This was one big e-file! I only printed the chapters that we used but this one would be a job to send to a printer. Curly and I read through several chapters of the physics book and she enjoyed our reading time. I was surprised at the number of concepts she was able to understand and discuss with me. We even performed several of the hands on activities together. Maybe using a physics book with a 6 year old isn’t quite so crazy after all! This book which sells for $39.95 has 30 chapters which looked like it would last an entire school year when combined with some extra reading and the hands on activities. The beginning of each chapter contains an overview of concepts introduced and each chapter contains a supply list and vocabulary word list. At the end of the chapter there is a review section with questions that relate to the main themes of each chapter. There is also an additional “Think About It” section which correlates the lessons and the hands on time so the student has an understanding of how the activity relates to the lesson. What we liked: The chapters are relatively short but contain a lot of information. The information is written in a very clear way that even a younger student could understand. The hands on activities used very simple things around the house and did not require much prep work to perform. The overview at the beginning of the chapter helped me to understand the main idea before I read through the chapter with Curly. The chapters were broken into shorter sections which covered each topic and these sections were brief–enough to introduce and explain the concept without getting bogged down with extra details. All the information is unabashedly Christian in content so I never have to filter out references to other belief systems. No editing needed! What we didn’t: The text contains coloring pages. They were very busy and Curly did not find them enticing. The graphics are not appealing. Christian Kids does not have any colors throughout the text and does not contain very many pictures. I think we would have enjoyed some full color illustrations to go along with each topic. Adding color illustrations would not make the book printer friendly, but when we read books we enjoy pictures. Our thoughts: This text fits the target age range well and would provide an excellent starting point for a student progressing into high school science after this series. The text is concise and easy to use. This curriculum would be very easy for a student to be self-directed as they completed the lessons because it is clearly laid out and user-friendly. 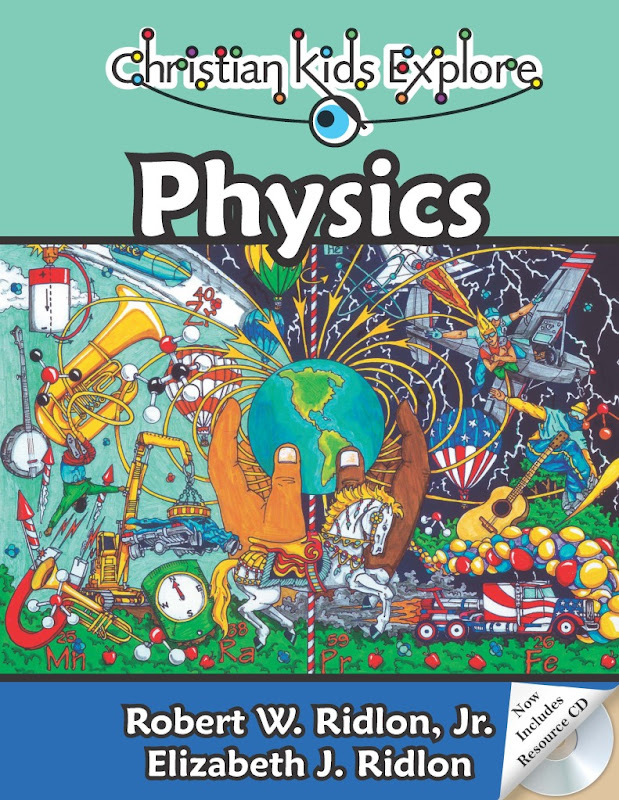 I was very impressed that a physics book could be written so a 6 year old could understand the basics of the concepts! The only thing that was missing was a little color and a few more pictures-but that’s the visual learner in me! Check out what other Crew members though about the Bright Ideas Press products here. Disclaimer: As a member of the TOS Crew, I received this product, at no cost to me, in exchange for an honest review.